The International Aircraft Dealers Association (IADA), which recently moved towards full accreditation for aircraft dealers, is now setting the benchmark for knowledge, skill and ability of individual aircraft brokers in an industry where previously there were no clearly defined standards. More than 20 aircraft brokers will be tested later this month for their capabilities and competence by Joseph Allan Aviation Consulting, an objective independent third party agency. If they pass the test to be administered by the agency, they then will become certified individual aircraft brokers. "These newly certified IADA aircraft brokers, who will be under the supervision of IADA-accredited dealers, are the very best at representing buyers and sellers of business aircraft," said IADA Executive Director Wayne Starling. 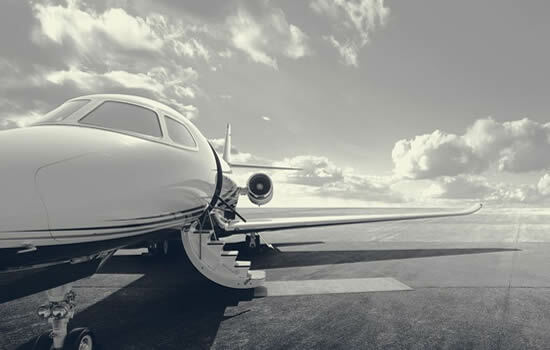 "They set the standard for professionalism in the aircraft transaction industry, and the IADA certification process establishes how IADA-accredited dealers will train their qualified brokers in the future." The certification examination for brokers was developed and will be managed by Joseph Allan Aviation Consulting, which also developed the accreditation standards for aircraft dealers. The broker examination is designed to measure the skills and competencies that are required of aircraft brokers in order to effectively conduct their work. Joseph Allan has considerable experience in curriculum development and the development and management of examinations measuring knowledge-based competencies. While only three percent of all aircraft dealers merit IADA accreditation, they handle more than 50 percent of the used business jet transactions. IADA represents a variety of product and aviation services that also operate with the highest professional standards in the industry. IADA is a professional trade association formed more than 25 years ago. Promoting the growth and public understanding of the aircraft resale industry, IADA now offers the world's only accreditation program for dealers and the only certification program for individual brokers. The process delivers high standards of business conduct and transparency regarding aircraft transactions, leading to a more efficient and reliable marketplace.